I want to display my C1Report using various different localisations/cultures. I want the date and number formats to represent my users locale. Is there a property on the C1Report or C1ReportViewer, or any other object that will allow the culture to be passed to the report and therefore show the numbers/dates in the correct format? Using C1.C1Report.4 version 4.6.20111.54307 with C1ReportViewer. I apologize for the delay in response. I would like to inform you that if your report is Data Bound and has Number Field or DateTime Field , and report is viewed in ReportViewer then Numbers and DateTime are rendered in a format as per the system setings. 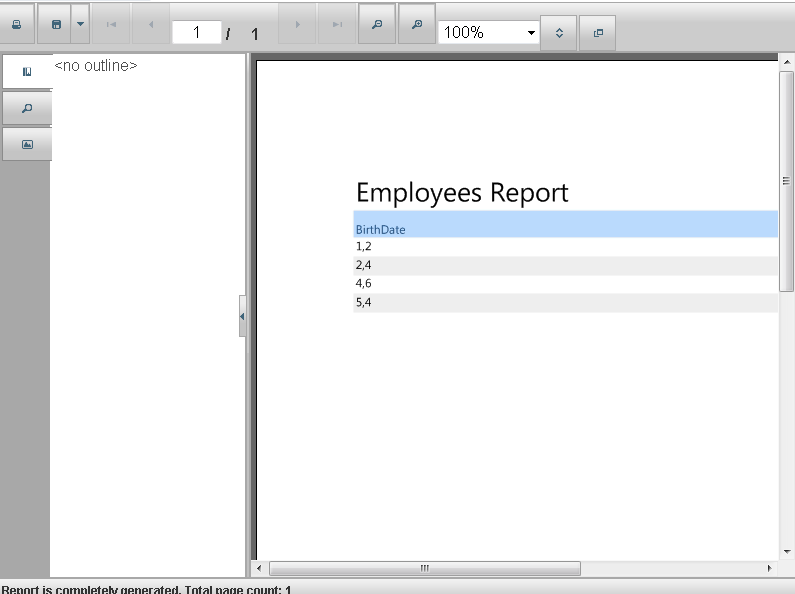 It is the default behavior, no properties have to be set for report or report viewer. 3. Current System Locale: Germany(Germany). 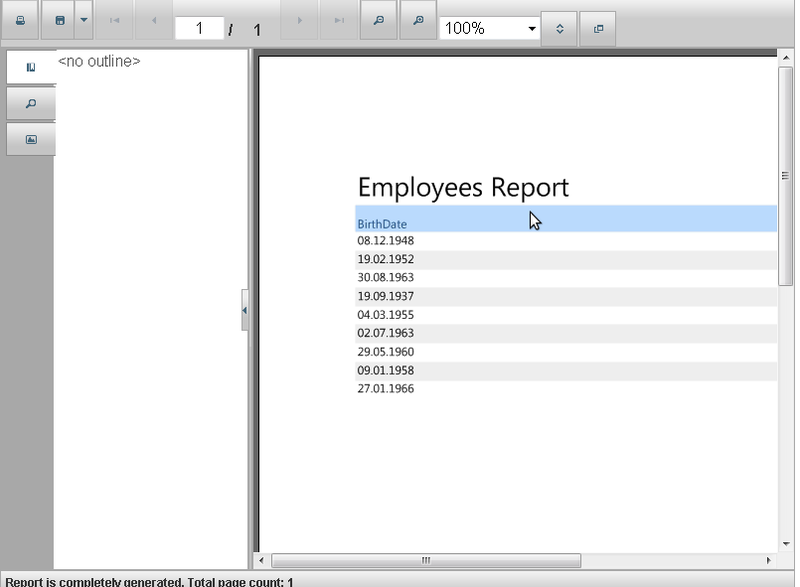 In the screenshots, report having DateTime Column is shown in format dd.MM.yyy and numbers shown with Comma as decimal separator as per the German Locale. @stephenhughes were you ever able to determine if the report's locale can be switched on the fly?